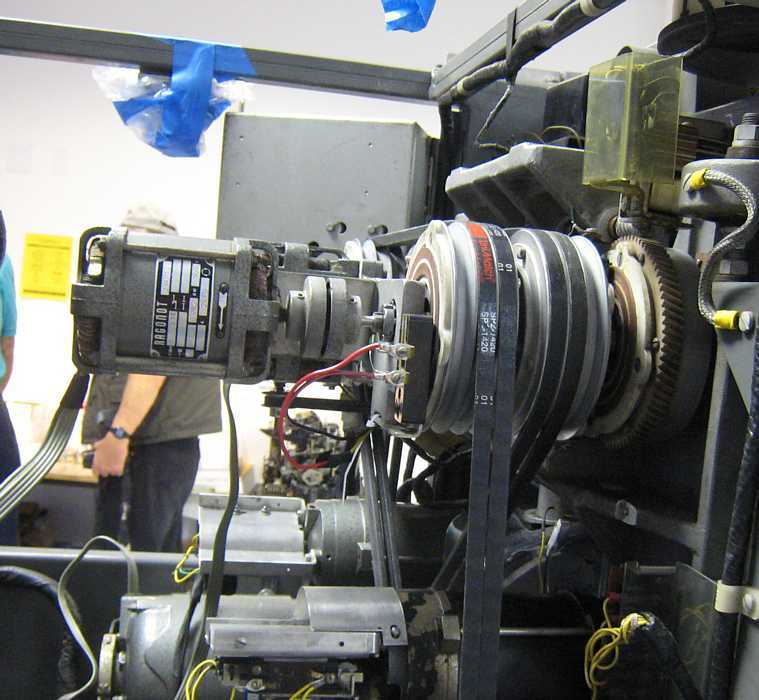 Wed October 10 - general, Thurs October 11 - 729 tape drives, Sat October 13 - 2nd Sat. Wed October 24 - general, Robert is visiting N.Y., Sat October 27 - 4th Sat. Present were: Ron Williams, Bob Erickson, Frank King, Allen Palmer, Joe Preston, Stan Paddock, Ed Thelen. 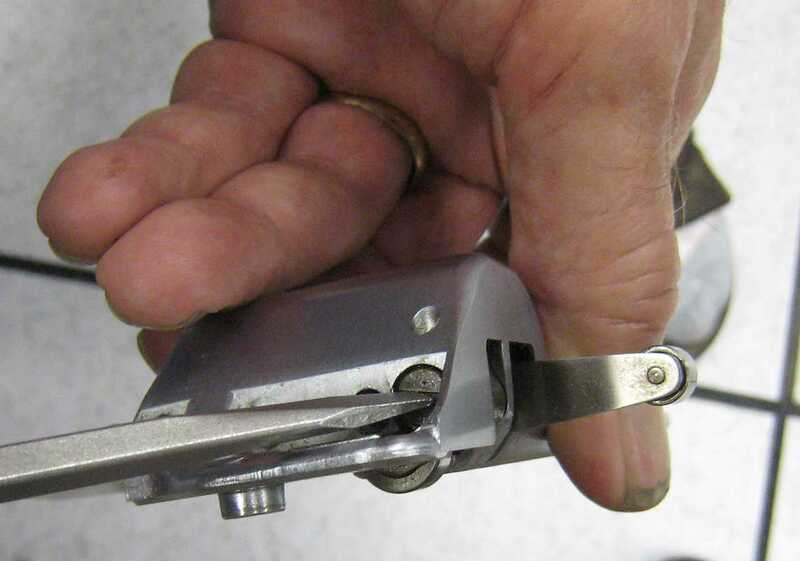 Joe and Stan have been working with the type 026 Key Punches. 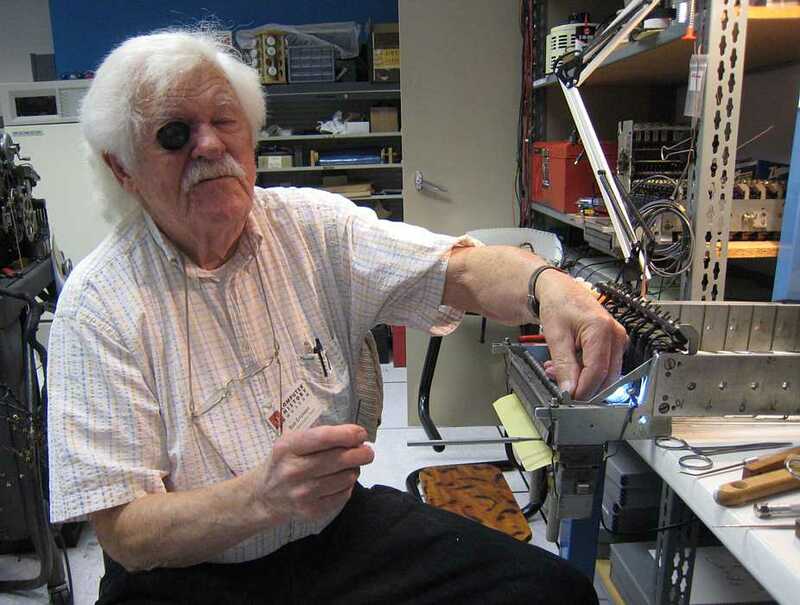 Stan is currently involved with the read stations of the key punches (used in copying a card). 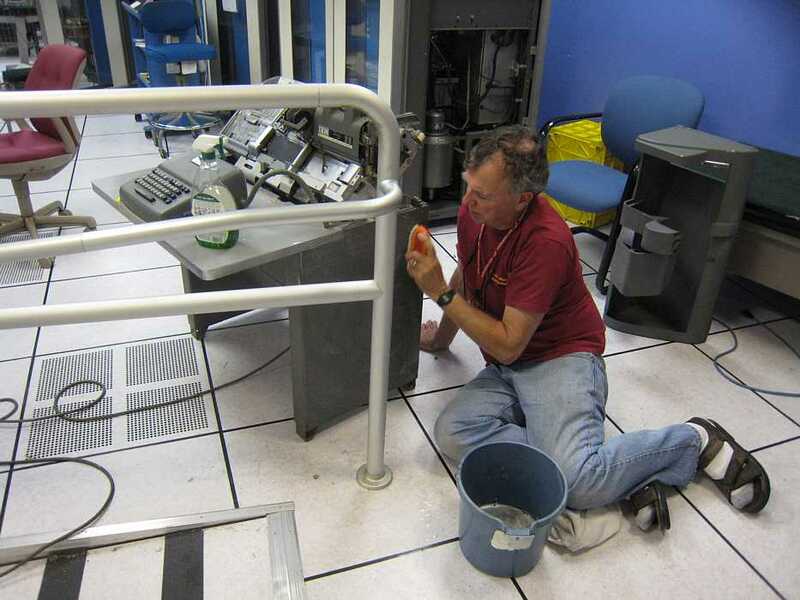 This was not Bob Erickson's finest day !! He pushed too hard on something and a number of punch dies popped out :-(( Again !!! It ain't all glory ! Here is Stan cleaning off 40 years worth of grease and grime. 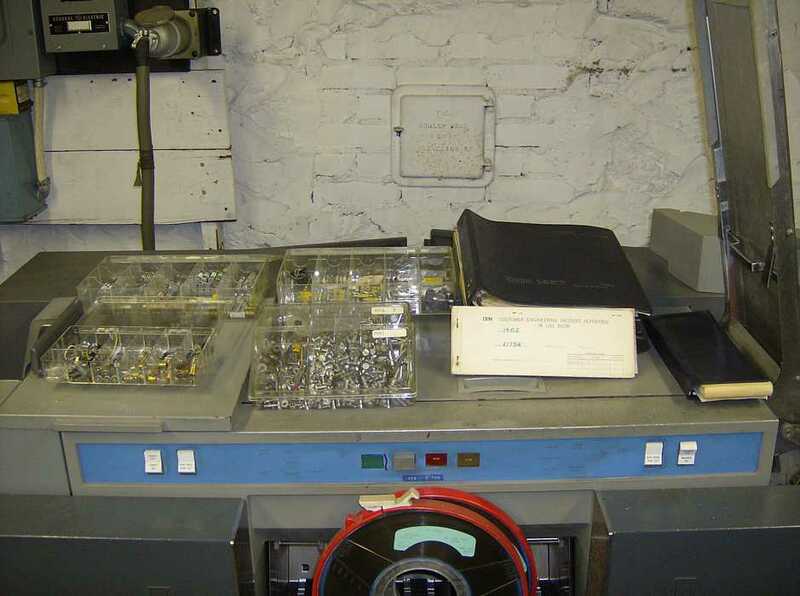 In the afternoon, Frank, Stan and Ed met with Alex Bochannek about the eventual displaying of the 1401 System (IBM 1401 computer, 1402 card reader/punch, 1403 printer, 1406 extended memory, 729 magnetic tape units) and the Unit Record Equipment ( type 026 keypunches, type 083 sorters, type 077 collators, ...). Present were: Ron Williams, Bob Erickson, Allen Palmer, Joe Preston, Stan Paddock, Robert Garner, Ed Thelen. 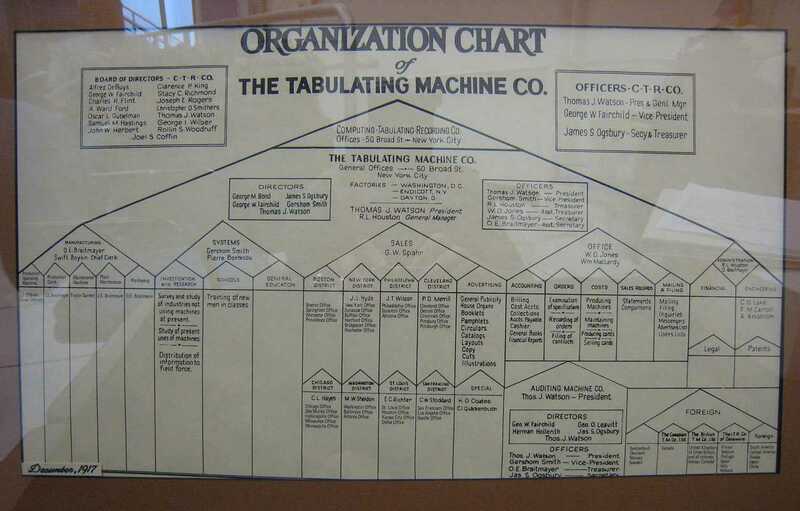 Allen Palmer brought in a framed organization chart from "The Tabulating Machine Co." with Thoma J. Watson as President and Director. 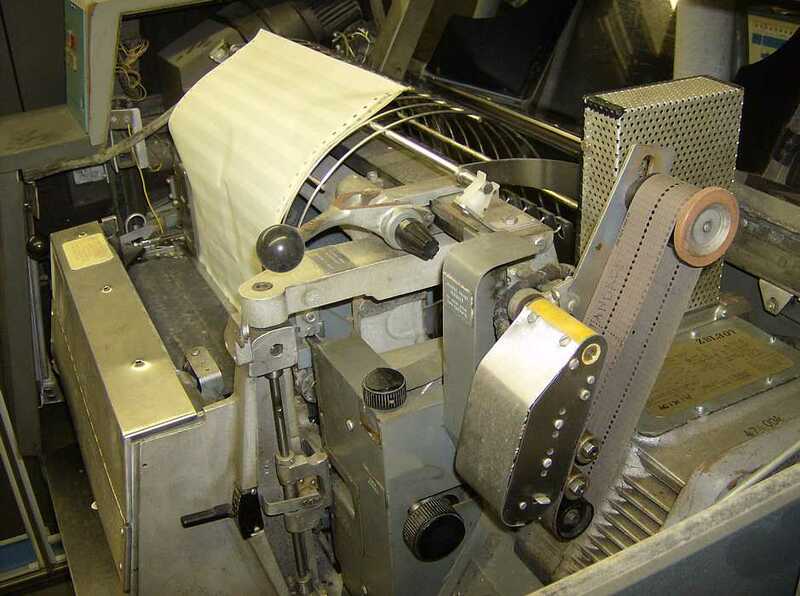 Included are the board of C-T-R-Co. All of the above companies were renamed International Business Machines" in 1924. Apparently Joerg & Gisele Ebel of Saratoga, CA gave the picture to Allen. 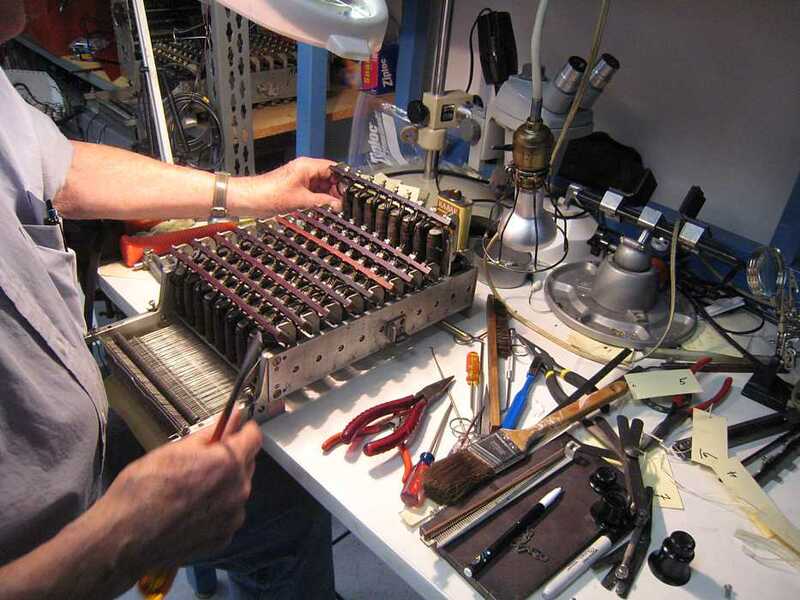 Bob Erickson has been trying to re-assemble the punch die and magnet assembly. It has been "tedious" yet "interesting", as in the ancient Chinese curse "may you live in 'interesting' times. We were happily doing our things, when all of a sudden - THAT SMELL - overheated lacquer, - something is way too hot. 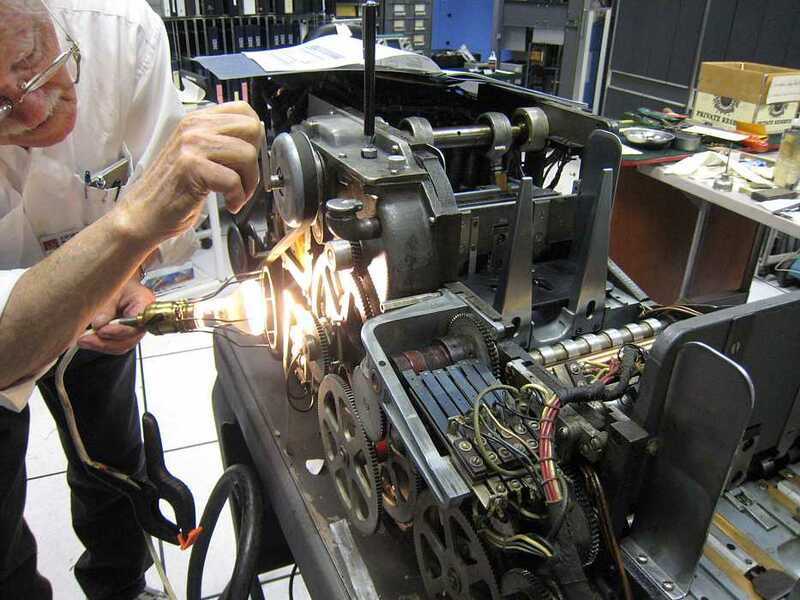 Allen was powering up and testing one of the recently re-assembled 729 tape drives. The Rewind Motor (left center) overheated. What was causing that?? 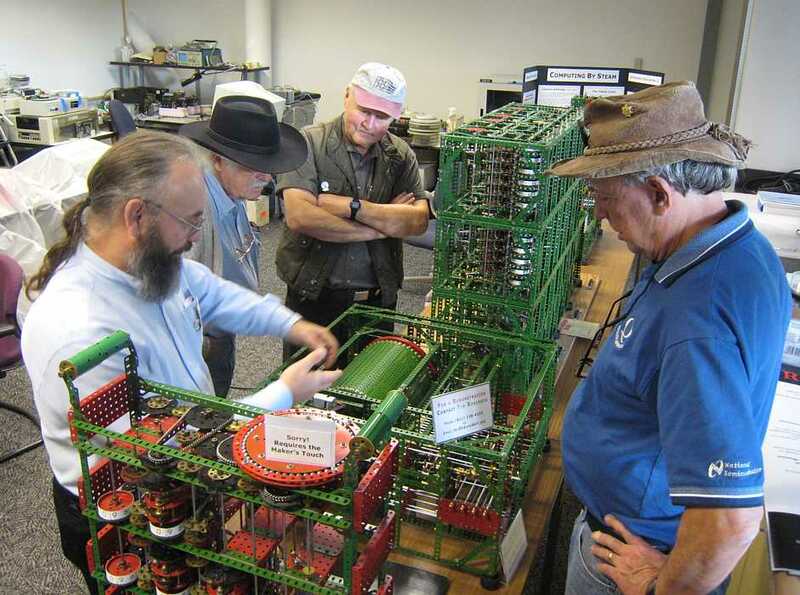 A missing phase on the three phase motor?? Miss plugging?? 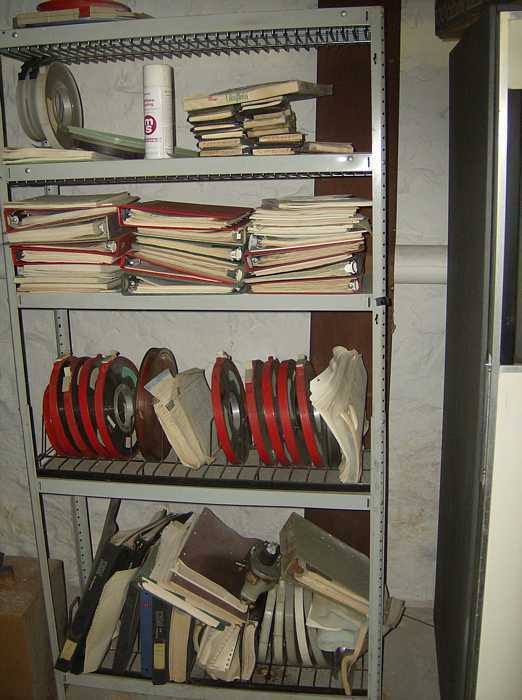 - It turned out that one of the clutches (right center) was locked up (energized) while the Rewind Motor was trying to spin the tape reel. Now what?? 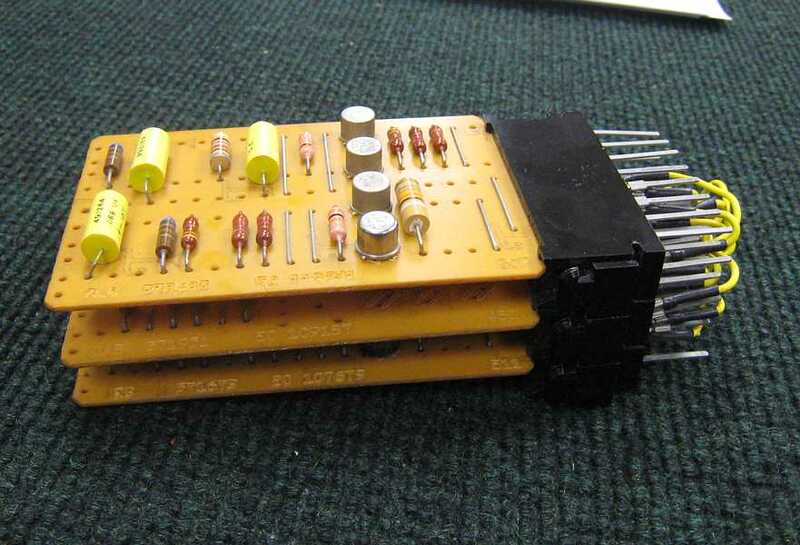 The three card controller for a 729 tape exercizer has been returned. 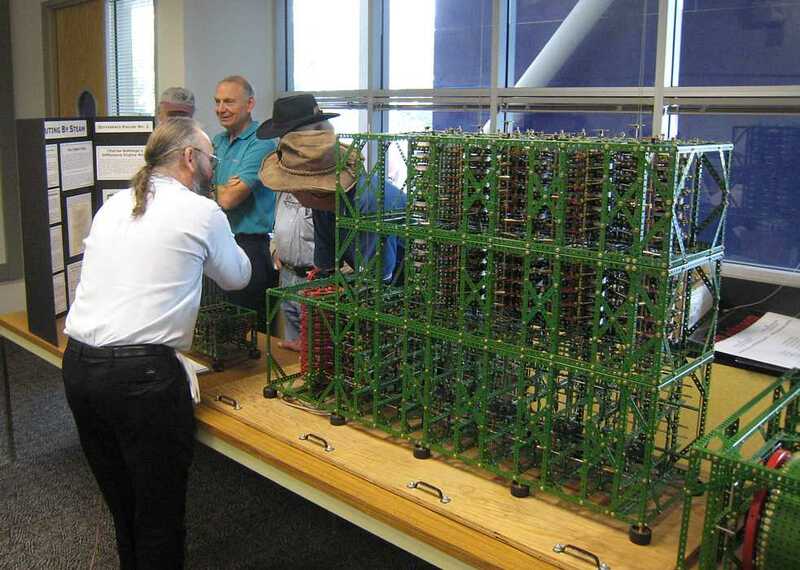 It is fascinating to hear Tim tell about his "models" to an interested audience :-)) There is so much to know, and he has studied it so thouroughly. 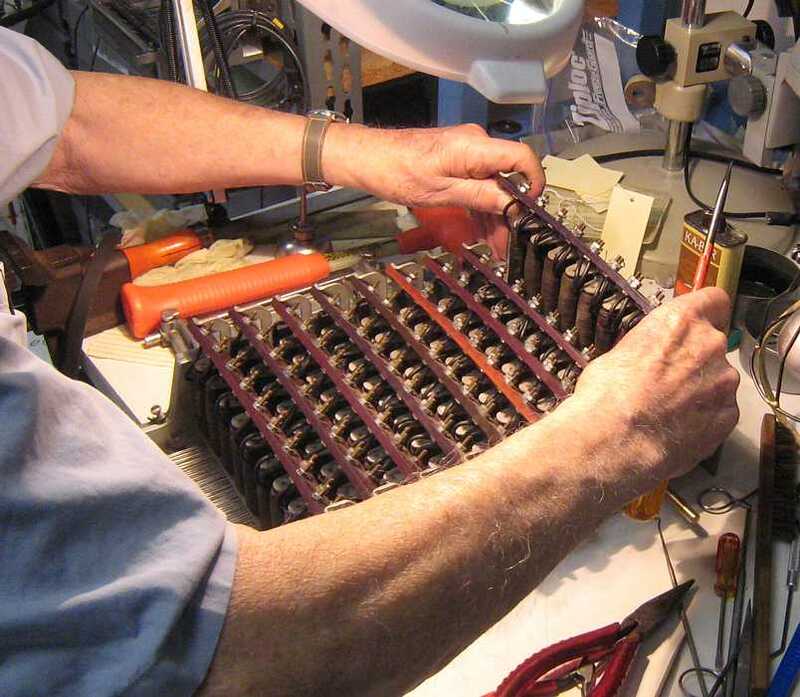 See this web site for an introduction on what values to use to initialize difference engines for different functions. 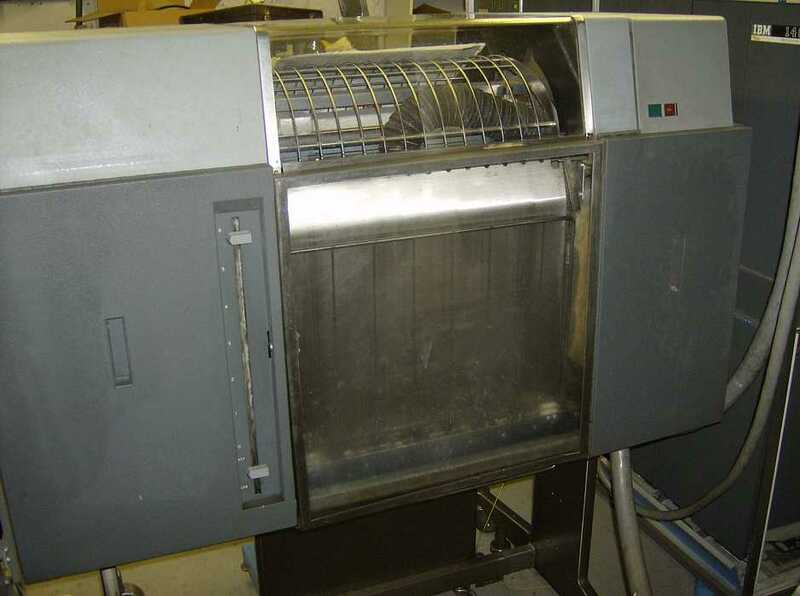 Note: The jogger in the 1402 read output hopper #1 was not working. We were limited in the size of decks we could read. 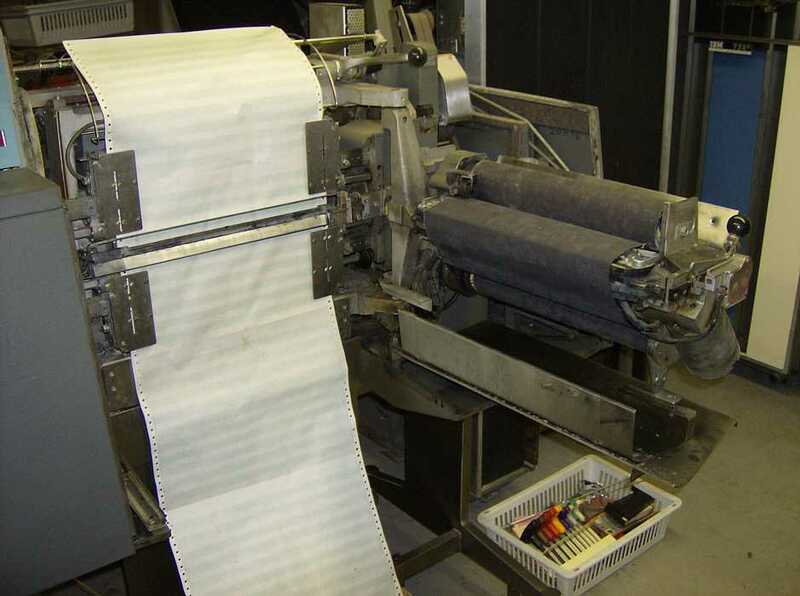 We started the day running tape diagnostics successfully several times. The diagnostics started to fail as the room warmed (about 30 minutes without the Liebert on). The most common symptom was the records being read were missing the first few characters. (The diagnostic program writes a record, backspaces, and then reads the record.) 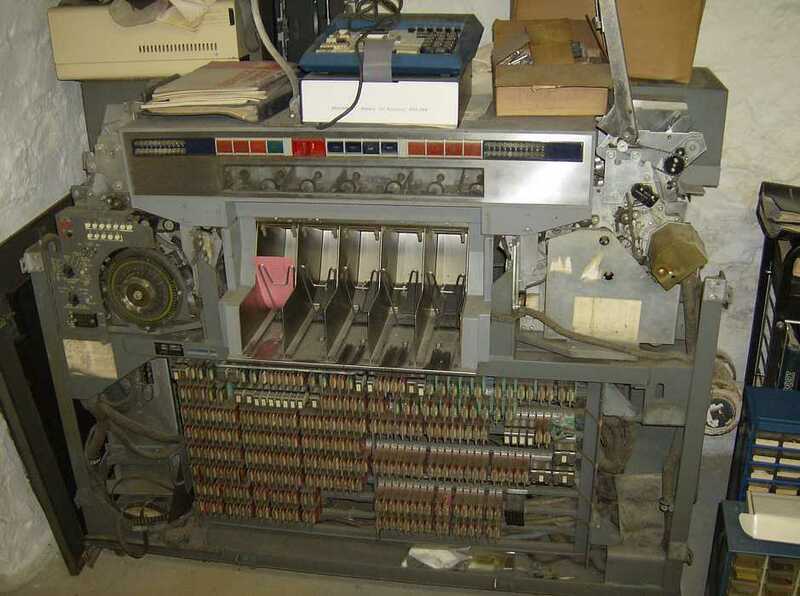 We suspected that the 729 tape drive start/stop times needed to be adjusted. We wrote the tape with one very long record of all bits set. Then read the tape while we probed the “GO” signal on scope CH1 (triggered on this transition) and amplified Read Data from the head in Ch2. We watched the amplitude of the Read Data signal change as the tape drive started and stopped. Both start and stop times were longer than spec. 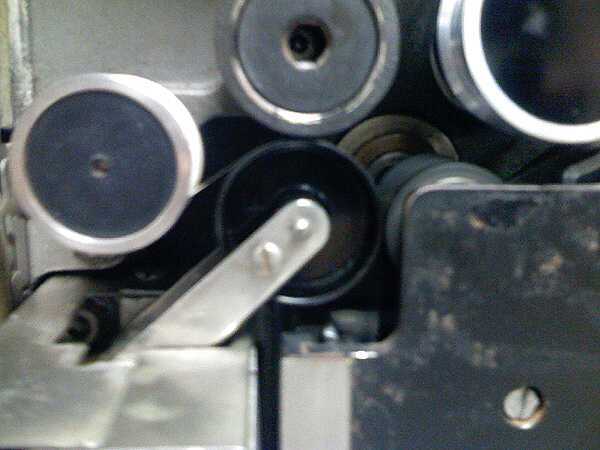 Start gap (spec= .003"-.005") - from the center plastic roller to the capstan roller on its right. 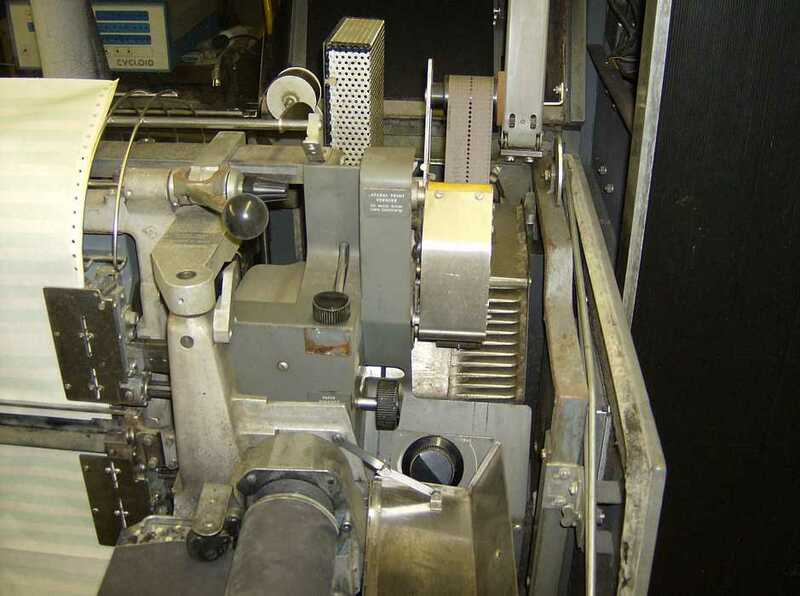 Stop gap (spec= .004"-.005") - from the center plastic roller to the brake just above it. RiseOfGo...jpg is the "start" spec showing the envelope being at full amplitude at 2.7 +-.5 msec. 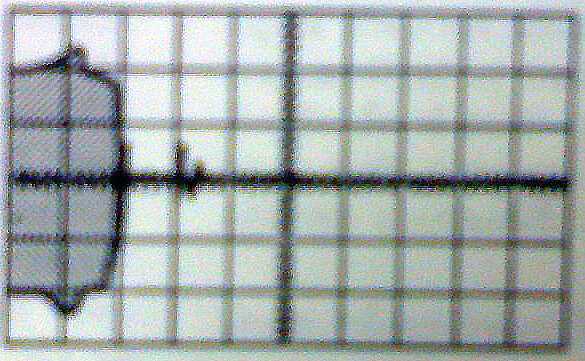 StartBefore.jpg is the "start" waveform after prolays current adjustment, but before gap adjustment. 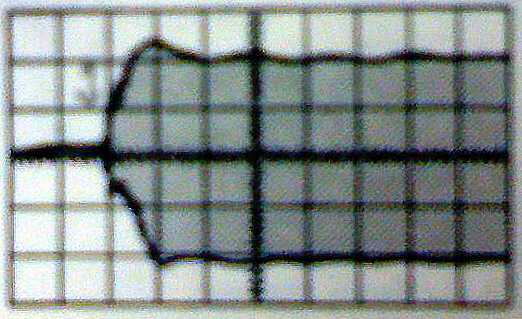 StartAt2mils.jpg is the "start" waveform after the gap was adjusted to .002". fallOfGo...jpg is the "stop" spec showing the envelope being at full amplitude for about 1.5 msec (coasting) and then dropping to zero in about .6 msec. 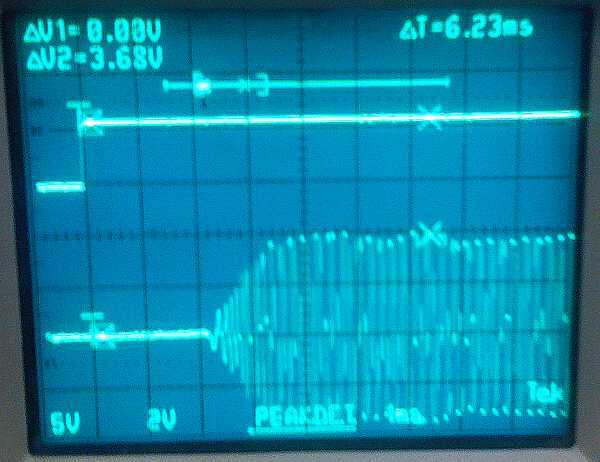 Stop...jpg is the "stop" waveform after gap adjustment to .003". Upon starting, the data amplitude took about 1 ms longer than spec. to reach 7Vp-p (specified full amplitude is 8Vp-p). 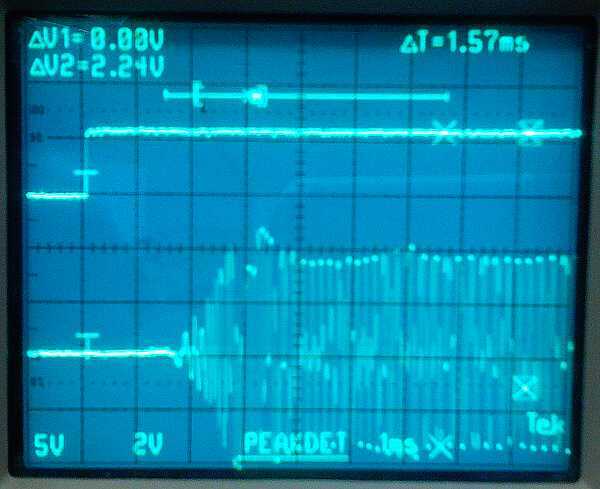 Upon stopping, the data amplitude took about 6 ms longer than spec to die out. Stopping seems to have two components, coasting and braking. Both were too long by >2ms. We checked the prolays gaps, they were all within spec. We checked the prolays current; it was very close to spec. We boosted prolays current 10% above spec. This helped a little. We decreased the gaps to meet the desired growth/decay waveforms. 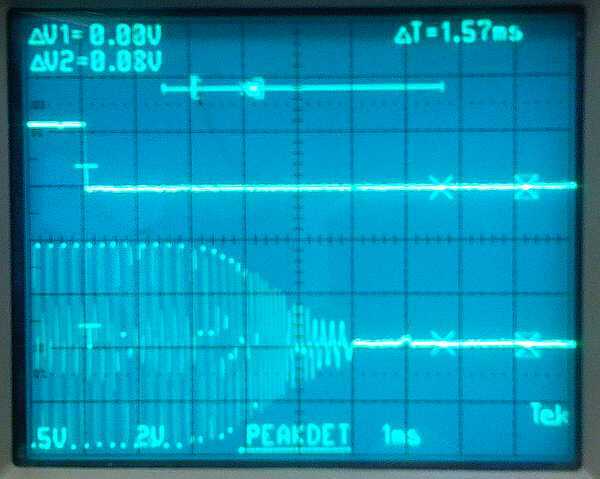 We were able to achieve the correct waveform at about 50% the specified gap sizes. However, this resulted in tape stretching and breakage. We backed off the gaps to the spec minimums, but the data amplitude growth/decay is still significantly longer than spec. Our best guess is that the start/stop problems are due to hardening of the rubber on the drive capstans and brake wheel. After 40 years, the rubber is probably not as sticky as it once was. 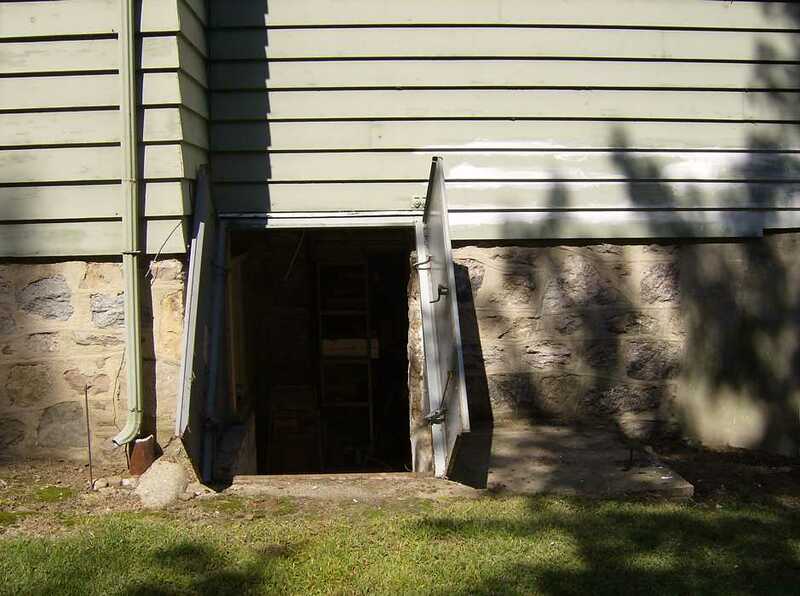 If you have ideas on how to further isolate the root cause of bug, of have repair ideas please reply. It’s clear the start/stop times are a problem, but I have no idea why the errors seem to be sensitive to a warm room. 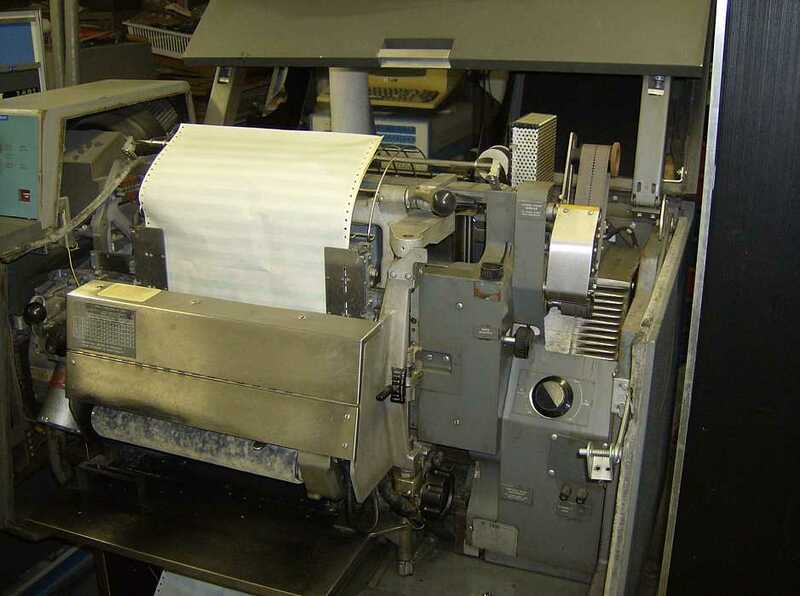 Another note: At the room temperature where the tape drives started failing, the 1402 reader also became very unreliable. Jeff has made progress with the GUI imagery. He left it running in a browser window on Ed's notebook. Take a look. I am seeing some signs of life from the Windows kernel driver, but the "Blue Screen of Death" is occurring regularly. I have enough coded to send and receive messages. A hook exists for the tape drive emulation functionality, but the code is not written yet. I suspect that it will take at least a month to work through the current set of bugs/issues, then a few more to make it emulate a drive.. Present: Ron Williams, Bob Erickson, Judith Haemmerle, Dan McInnis. Jeff Stutzman, in afternoon. This report courtesy of Ron Williams. Ron and Dan worked on debugging Dan's switch based IO exercizer, Demo Assurance Program. Pretty much got it working. At the lunch for the "2nd Saturday Volunteers", Judith presented a slide show of progress at the new Milpitas warehouse. 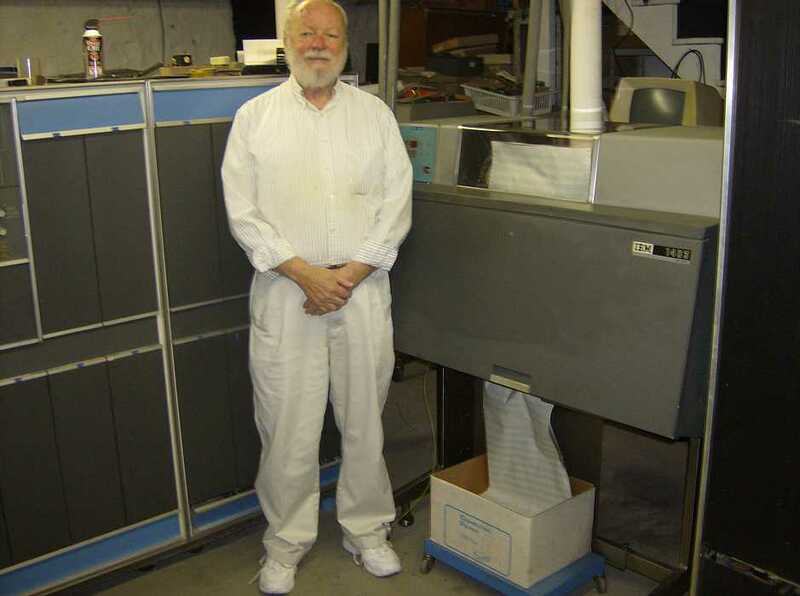 Jeff Stutzman worked on tape drives. 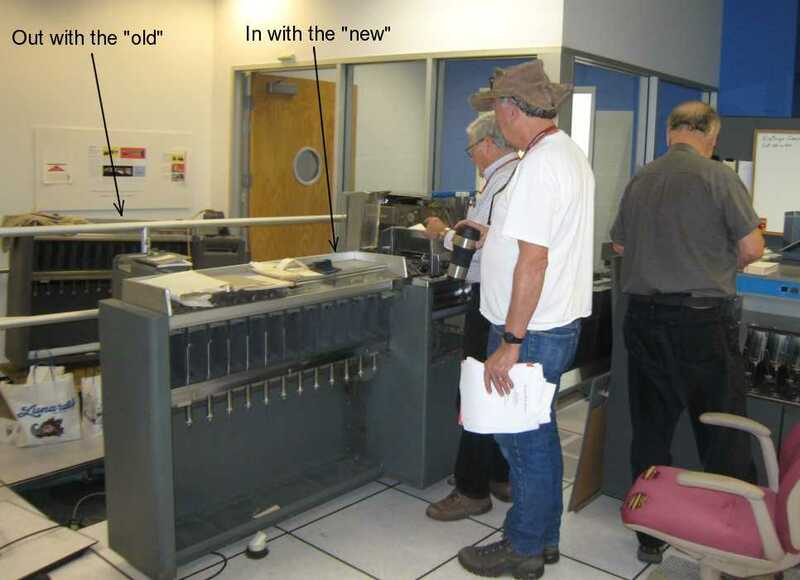 This last Thursday, Ron Crane, Jeff Stutzman, Bob Feretich worked on the 729 tape drives. 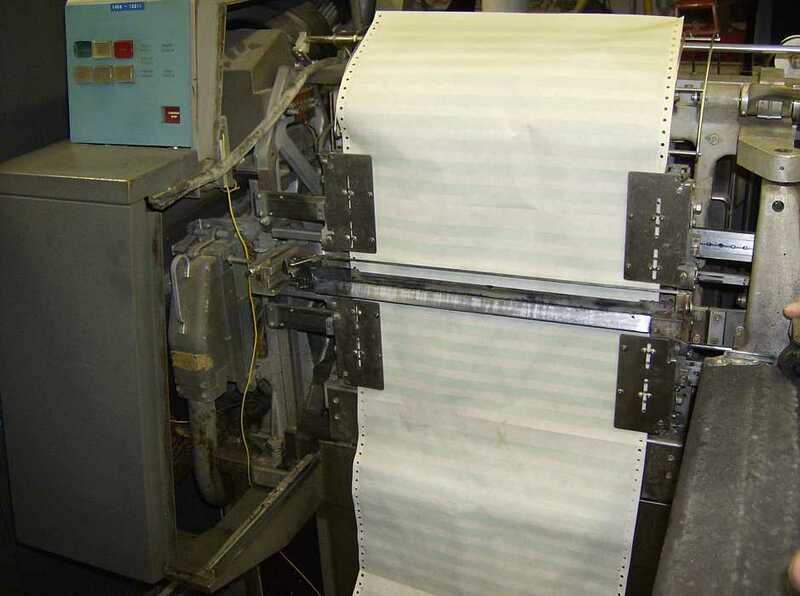 Their log says the on-line tape drive works well when cold. It appears to have a start/stop problem when warm. That problem recurred today. About 20/30 seconds after the 1401 was turned "ON", the -12 volt power supply tripped. This occasional (once a month?) problem is getting higher priority now that the system is getting more stable. A more full discussion of this problem is on August 8,2007. Basically that power supply is marginally overloaded. 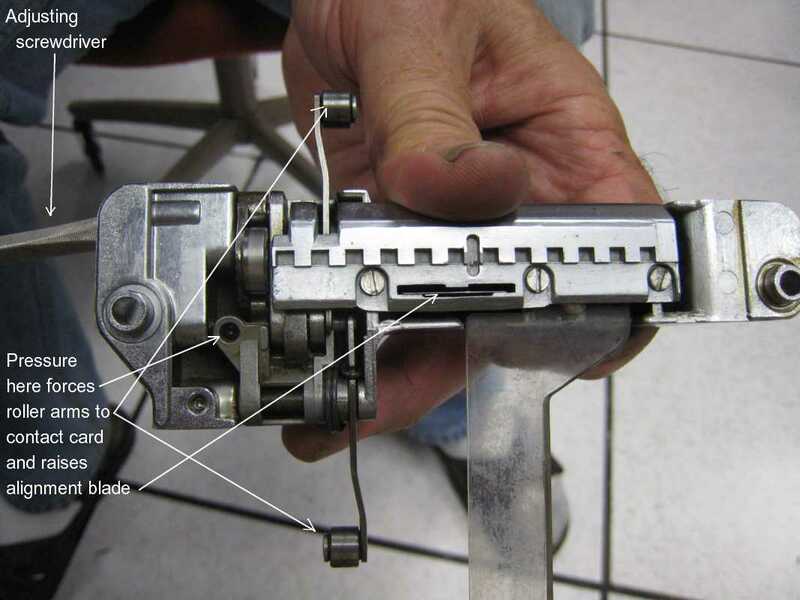 Circuit breakers made now have a different (smaller) form factor :-(( What is reasonable to do? Unfortunately, this cylindrical slotted rubber thing which is supposed to help push the cards is hard and not at all flexible - how to get a replacement? 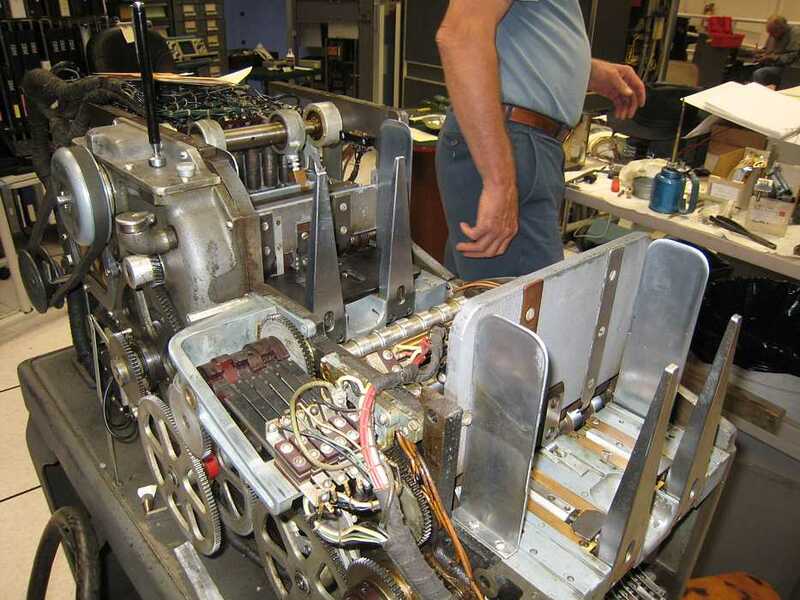 Bill Flora trying to re-assemble a tape exerciser controller. It seems that some vital information was scrambled during dis-assembly. Bill is not his normal smiling self. 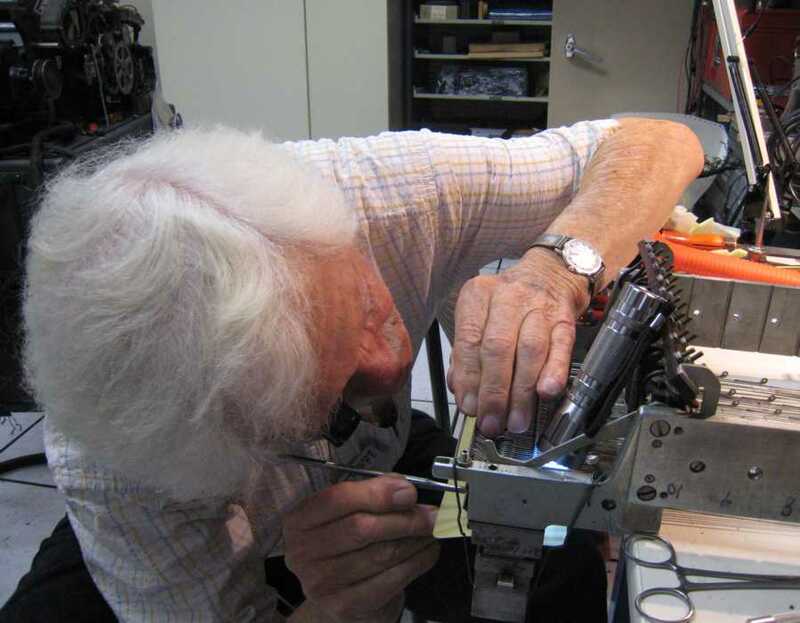 Frank King and Joe Preston are re-furbishing a spare 026 print mechanism for installation on the 026 from Illinois, which came with out a print mechanism. Granddaughter Rose is not pulling her fair share during this walk Would you believe that the handle of her lunch box, with new toy inside, is still firmly clasped in her right hand? Allen loaned me a "like new" stop capstan and I measured the durometer of the the rubber. On a Shore A scale it measured 90 and on a Shore D scale it measured 50. Although the A to D scale comparison is not reliable, these are within the +/- 5 durometer typical of rubber specifications. The other question is what type of rubber and my bet after a little research that it is neoprene (Dupont trademark) alias for chloroprene. It is unlikely from the little history search I did that EPDM or polyurethanes were common in the late 1950's although the dates of introduction of these materials is hard to determine. Perhaps some one of our mail list has more data. In any case, neoprene is available from McMaster from Shore A 30 to 80 step 10. I suspect the capstan has hardened some over time so we might try the A80 material. Machining this stuff is difficult and not fun, but can be done. Grinding is the way to finish the capstan OD's. Very messy. I also advise starting with known property rubber as using hammer heads etc. is a complete random walk. Lynn dropped 4 of the rebuilt stop- capstans. I will bring them in Thursday & if you are in the area please stop in to look at them. Grant's comments are well received. Since I have provided 5 pieces to Allen ( and I still have one completed with me ) from the mallet material and have suffered through the odorous fab process, let's give these a try. The material is about the correct Durometer or maybe sightly softer and it is reasonably robust. I still have some spools and I can retire these with Buna N, Neoprene or an equivalent depending on the results of live testing. 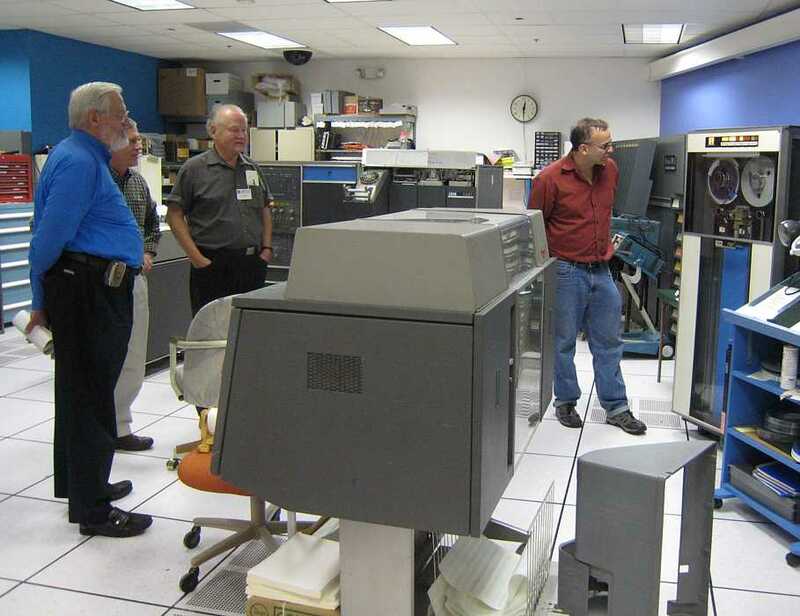 Mike Williams, Robert Garner, Ron Williams and Dag Spicer watching 729 Tape Drive in action. 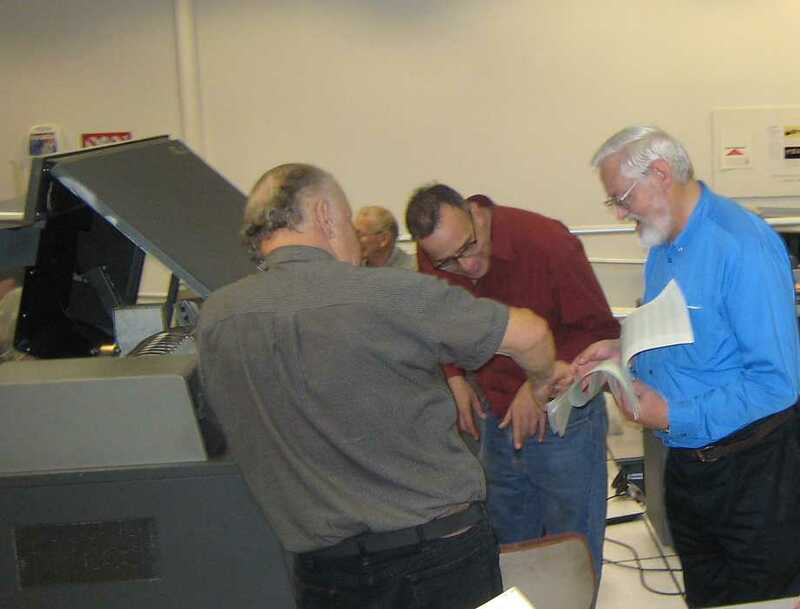 Ron, Dag, Mike looking at BigPrint printout of Mike Williams visited CHM October 24,2007/ Joe Preston and Frank King in background. This is on loan to Allen Palmer from one of his neighbors. 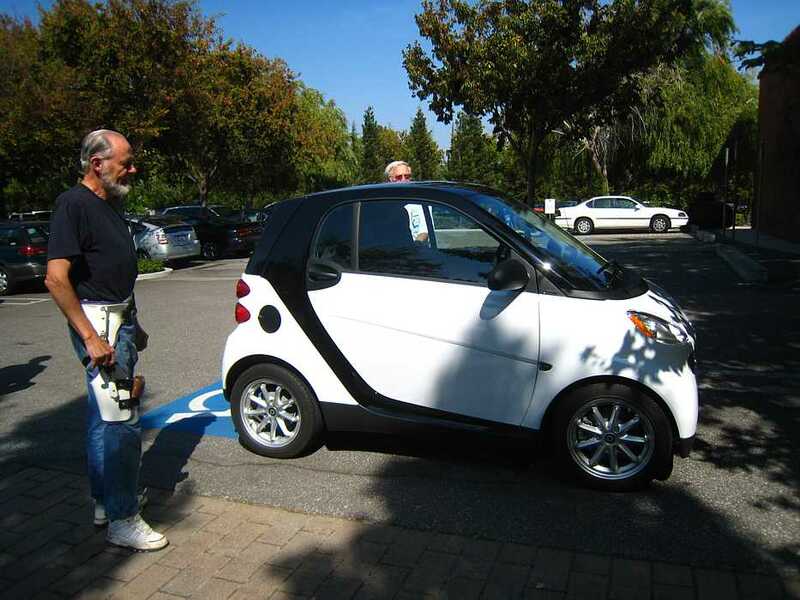 There were two "Smart Cars" on exhibit in the CHM lobby. 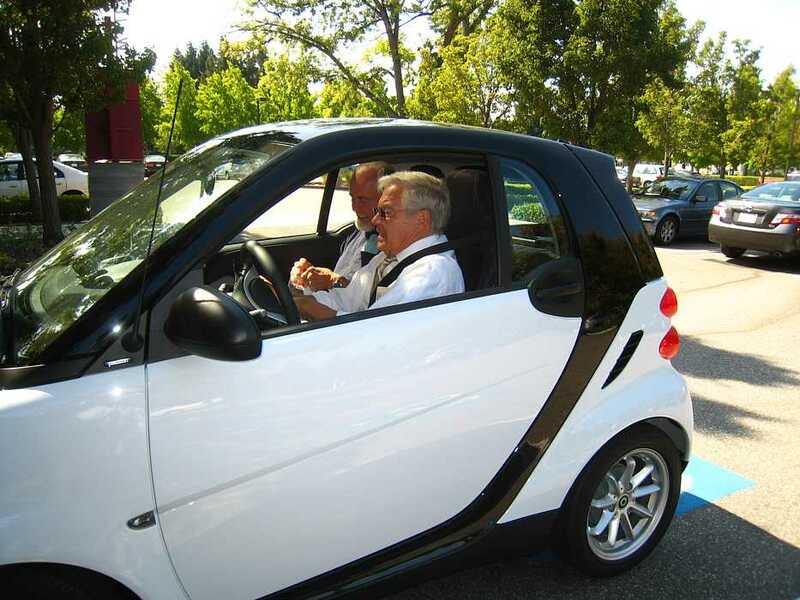 A few years ago, Frank King negotiated for one - but couldn't agree on a price. Looks as though Frank is still lusting for one ;-)) He wants these pictures. 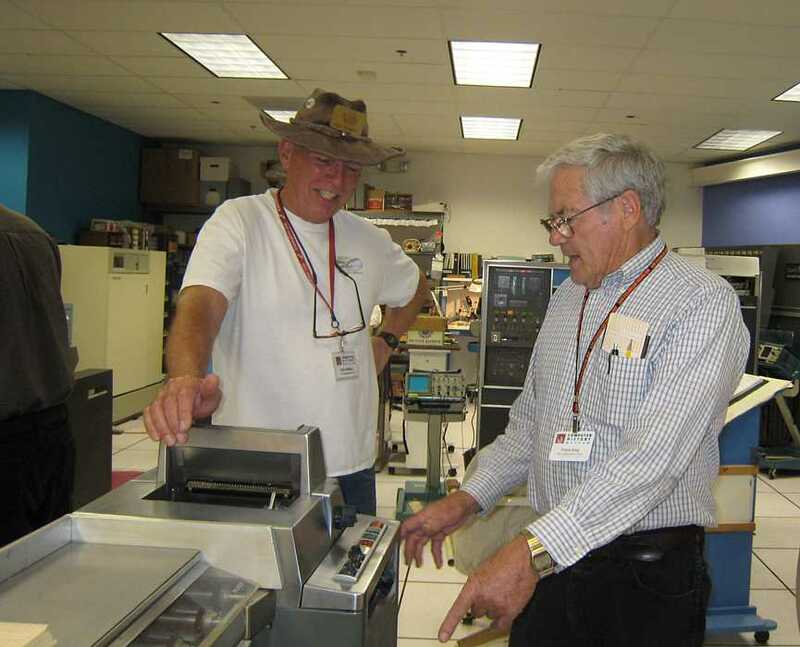 no tape people - Ron tried to run DFT tests and own test on 729 tape drive - everything failed. Bob & Judith worked on 513 and ?077? plug board programming. - because these guys really like to touch things !! How many people can see from the ramp? 15? 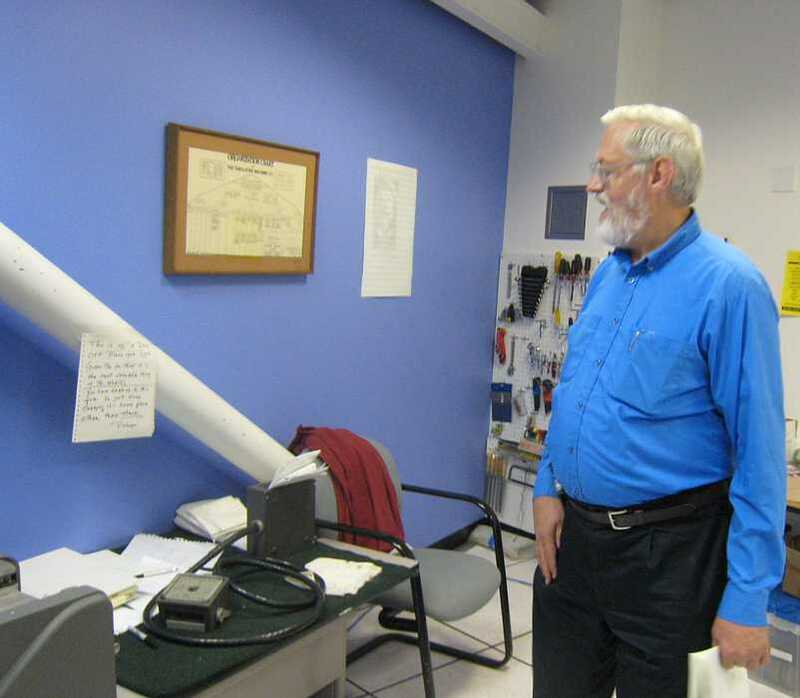 - Jim Somers will  work on sign on the outside of the 1401 room. to present on monitor on outside later? Jim S can get volunteer to operate. Between tours?